Leading Exporter of handmade paper greeting cards with custom logo prints, indian ethnic print greeting cards, greeting cards from india, metallic handmade for greeting cards, greeting cards and dried flower greeting cards in various combinations from Mumbai. 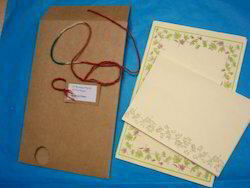 Handmade Paper Greeting Cards, with inserts for Photos, can be custom printed with your Logo. 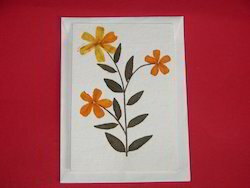 Dried Flower Greeting Card with Netted Paper, Where in Paper Strips have been Interwoven to Make the Greeting Cards. We are also manufacturing Dried Flower Greeting Cards with Matching Envelopes.We manufacture a large range of Custom Printed Greeting Cards. Our Greeting Cards are available In a large assortment of sizes. We manufacture Greeting Cards with Indian Themes and Motifs. Greeting Card are manufactured in size of 5*7 Inches, 4*6 Inches and 2.75*4 Inches. Our Greeting Cards are also available with Matching Envelopes. Our Greeting Cards are made from Handmade Papers. We can also Foil Print on our Greeting Cards. We can also manufacture Greeting Cards with your Themes. We manufacture a large range of Custom Printed Greeting Cards. Our Greeting Cards are available In a large assortment of sizes. We manufacture Greeting Cards with Indian Themes and Motifs. We manufacture a large range of Custom Printed Greeting Cards. Our Greeting Cards are available In a large assortment of sizes. We manufacture Greeting Cards with Indian Themes and Motifs. Greeting Card are manufactured in size of 5*7 Inches. Our Greeting Cards are also available with Matching Envelopes. 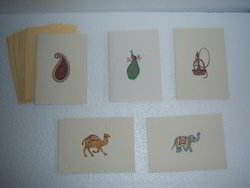 Our Greeting Cards are made from Handmade Papers. We can also Foil Print on our Greeting Cards. 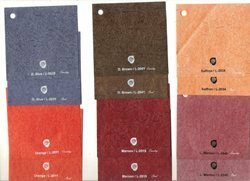 We manufacture a large range of Papers Suitable for use as Greeting Card Stock.Our Greeting Card Stock is available in Metallic Shade Options. 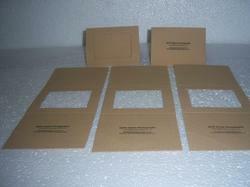 We are also supplying Greeting Card Stock in Plain Colors.Our Range of Greeting Card Papers are Printer Compatible. Our Greeting Card Papers are in Size of 22*30 Inches. Our Greeting Card Stock Paper is available from 200 GSM and Above. 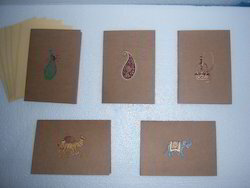 We also have Greeting Card Handmade Papers available with Mottling. We are also manufacturing Dried Flower Greeting Cards with Matching Envelopes.We manufacture a large range of Custom Printed Greeting Cards. Our Greeting Cards are available In a large assortment of sizes. We manufacture Greeting Cards with Indian Themes and Motifs. Greeting Card are manufactured in size of 5*7 Inches. Our Greeting Cards are also available with Matching Envelopes. Our Greeting Cards are made from Handmade Papers. We can also Foil Print on our Greeting Cards. We can also manufacture Greeting Cards with your Themes. We are also manufacturing Dried Flower Greeting Cards with Matching Envelopes.We manufacture a large range of Custom Printed Greeting Cards. Our Greeting Cards are available In a large assortment of sizes. We manufacture Greeting Cards with Indian Themes and Motifs. Greeting Card are manufactured in size of 5*7 Inches, 4*6 Inches and 2.75*4 Inches. Our Greeting Cards are also available with Matching Envelopes. Our Greeting Cards are made from Handmade Papers. We can also Foil Print on our Greeting Cards. We can also manufacture Greeting Cards with your Themes. Looking for Greeting Cards ?